squeezing macau into just a day proved to be too hectic than we came prepared for. to make it even more chaotic, we went to macau on a weekend! it was a sunday to be specific. well, you could just imagine the sea of people out in the streets, tourists and locals alike. to top it all off, the humidity had started to sink in, indicating the onset of summer in macau. we started our walking tour quite late since we unintentionally spent too much time in venetian during our hotel hopping. after all, who wouldn't get lost in such a huge maze! we were with other three people from work namely, joy, noie and tinay who arrived in the wee hours of the morning on that day and with barely a few hours to catch up with sleep, they went straight to macau with us. macau is one hour away from hongkong by a ferry. little did we know, it was also a bonamine away as the ferry ride across the south china sea's rim is likely to be a nauseating ride especially when the weather does not take your side. we were on board with new world first ferry from china ferry terminal in tsim sha tsui as early as 8:30am and we just slept the entire ferry ride. besides, there was really nothing to see outside for it was raining and due to poor visibility, the captain announced that the ferry would take a slow course. it was then, like forever. and then, there was macau. macau is considered to be the las vegas in asia. it stands true to that as the first thing we noticed when we were about to dock was the sands casino and more casinos everywhere thereafter. to reach central pier from the peak, we hopped on a bus down the hill's zig zag road. while the peak tram seemed to be a roller-coaster ride that only offers the very steep ascent part, the bus ride on the other hand, offers the thrilling downhill saga. riding a bus in hong kong is something to watch out for since their drivers seem to acquire the extraordinary skills in driving, like without decelerating even around a sharp bend. our small bus from the peak proved to be no different. for the peak buses, we went through the peak galleria at the peak and there are signs inside the mall that show where you need to exit. the one that goes to star ferry terminal in central is a small bus and not the double-decker which hong kong is famous for. aside from london, of course. this was something new for me because i had to consider comfort more than anything because i don't think my parents can handle too much hassle and a lot of activities cramped in one day. after we put up with snoopy under the hongkong sun, we then head to the peak in hongkong island from sha-tin by train. we changed trains twice while squeezing with the hk people in a busy late afternoon on a saturday. well, that must be during their peak hours and we were heading to the peak during a peak hour! making our experience an overdose of "peakness". LOL i can't believe i'm trying to pull a joke here. this is the sky terrace in the peak where you can get the best view of the famed skyscrapers in hongkong island and the kowloon peninsula across. but we only had this so-called best view for a split second because as what karina had put it, the peak turned on their fog machines full blast somewhere. getting here was an integral part of the experience of the peak. let me retrace our steps before our excitement had died down due to this extreme fogginess. 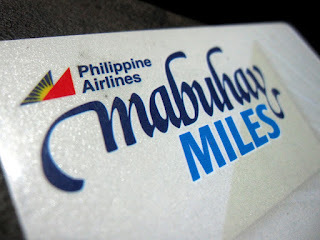 though i'm having mixed emotions in redeeming my miles, considering the not so good experiences i had read/heard all over but i really have no other cheaper option because i intend to fly to manila early june and airlines don't offer good deals when the dates are already near so, my round-trip worth miles are all i got. before we ended up with snoopy again, we first tried our luck in mongkok for something interesting. we were supposedly to be in search for the 10HKD store that is in between bossini and crocs stores in sai yeung choi street, but after several turns around the block and with the sun's high noon torture looming in, we found out that the 10HKD store was closed. urgh! nowadays, i found myself in mactan island more often than ever before. i had tried all the public transportation that i know that can get me to this island -- the fast, the crawling slow, the heavy traffic and everything in between in a public transport. yes, it is connected with two bridges but these are way too far from cebu city. these bridges are located in mandaue city and getting there is inconvenient for me, more expensive and to top it all off, the traffic could get really nasty. but before i ended up with my preferred way, which i will share at the end of this post, i had gone through the following. this is with reference from cebu city's central area, if there's such a term. of course, if you have a car on your own, it's downright easy but if you want a dash of fun in your life, local commute can be really exciting.